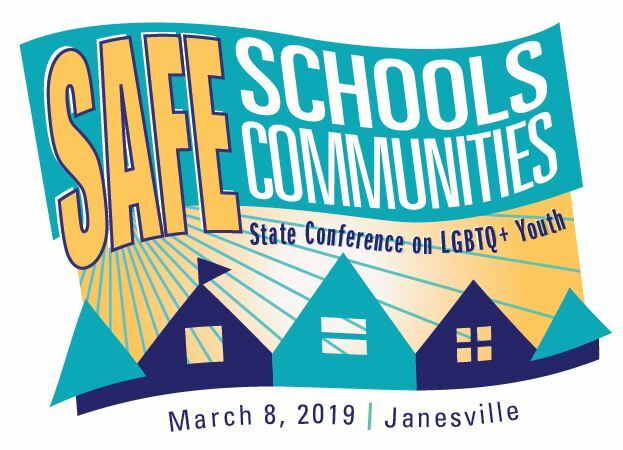 Safe Schools, Safe Communities (SSSC19) will feature a variety of speakers and workshops facilitated by local and regional experts. Conference participants will gain critical skills, tools, knowledge, and connections to help lead and support efforts to create more inclusive environments for lesbian, gay, bisexual, pansexual, transgender, nonbinary, queer, and questioning youth across Wisconsin. Our target audience includes adults who work with you and their families as well as youth delegates from middle school and high school-age groups or clubs in schools or in the community. School and community-based youth groups and clubs are invited to designate and register up to two youth delegates to attend SSSC19. There are a limited number of full and partial scholarships available to individuals wishing to attend SSSC19. If you are in need of a scholarship, would prefer to register offline, need to be invoiced, or have additional questions please contact Brian J. at (608) 661-4141 or email brianj@gsafewi.org.